Curio is a DJ and producer of underground electronic music from Colombo, Sri Lanka. After starting his career at the age of 16 as a mobile DJ playing mainstream crowd pleasers, he began moving towards a more underground minimal-techno sound in early 2010. 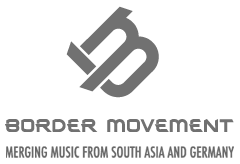 Since taking up music production in 2013, Curio has steadily developed his restrained and subtle auditory aesthetic and featured prominently on the release catalogue of Jambutek Recordings; Sri Lanka’s first independent record label for electronic dance music.